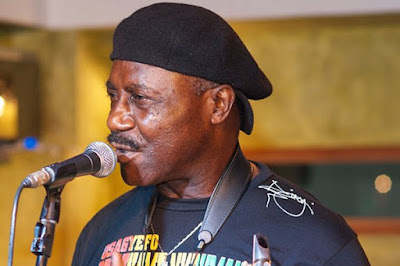 If you thought Sarkodie, Tinny, Guru and some other hiplife artistes are musicians, you might be mistaken, as Gyedu Blay Ambolley, music legend is saying they are not musicians. According to the legendary musician, making some ‘noise’ and putting electronic beats together cannot be regarded as music in anyway and advised the media to desist from calling that music. Gyedu Blay Amboley is the first musician from Ghana to formally incorporate rap forms into local High Life rhythms. He has previously ‘fought’ with Reggie Rockstone on who actually pioneered rap music. Ambolley plays the saxophone and bass guitar.